STEAM Careers: Are We Preparing Students for Their Dream Jobs? Show them that math matters. To see an example of how to integrate STEAM into core math instruction, get a free lesson plan from Sadlier Math. Give kids a task—or a math problem—and it’s more likely to excite them if they understand its importance. For students who aspire to be video game designers or architects, that means showing them math matters. Otherwise they may not even realize the tools needed to achieve their dream STEAM careers. Nicole Webb, principal for Mojave River Academy, a K–12 charter school in Bakersfield, California, says kids have a desire to learn math when they’re given the opportunity to experience it. “If students can be shown that all the information they are being taught in science, and especially in math, is meant to reveal secrets behind the ways that things work and do activities that inspire them, it can make a difference in their mindset,” Webb says. The best results come when teachers create STEAM activities using math and science skills that are on grade level, suggests Schrock. Rather than overloading teachers, she suggests working as a team to create authentic projects that meet the outcomes for math and science. 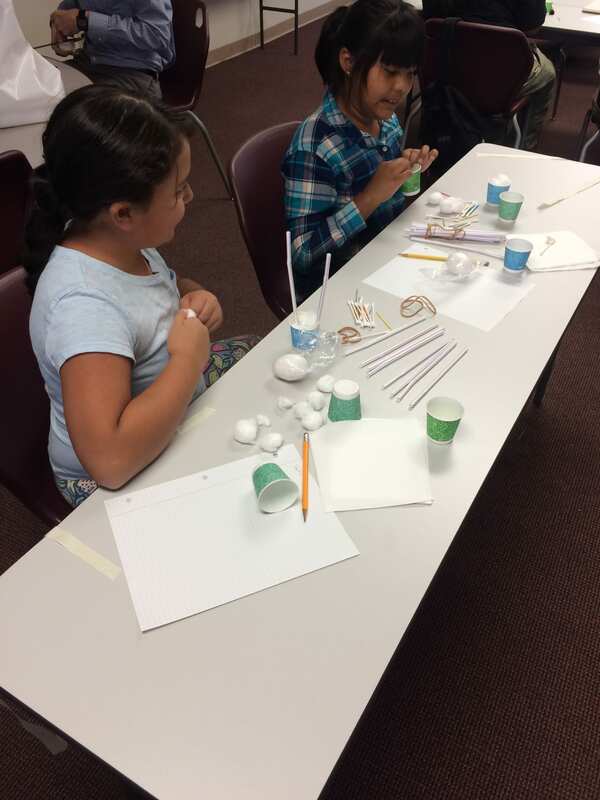 Students at Mojave River Academy doing STEAM activities. Framing a new math skill with a real-world application can draw students in from the get-go. The Sadlier Math curriculum opens each chapter of its textbook with bold photos, fun facts, and ideas for further research. 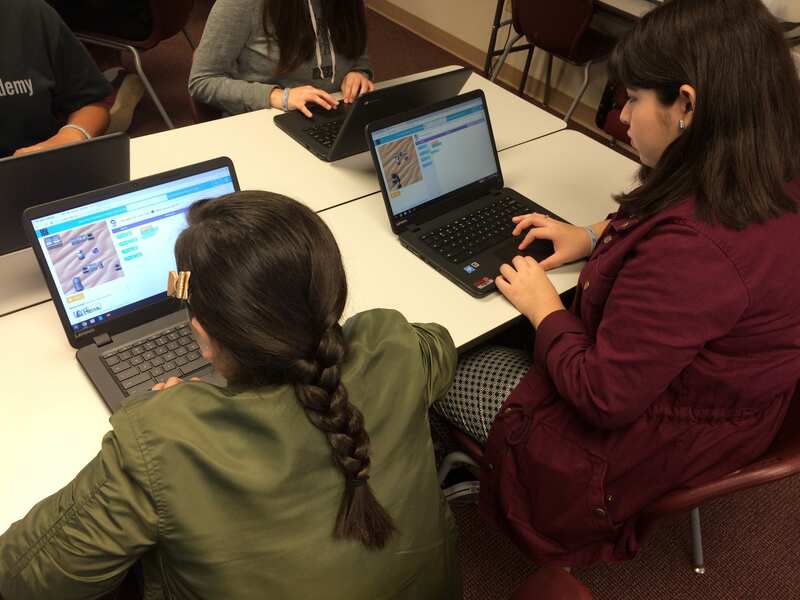 A “STEAM Connection” is woven into the lesson plan. For instance, when students learn about place value, they compare populations of U.S. cities and round the data. Division concepts are applied to gas mileage in cars. Multiplication skills are used to predict the number of hours of energy efficiency in a project about skyscrapers. It concludes with encouraging students to use their imagination to come up with ideas for sustainability. Kids respond when math lessons are anchored in real-life scenarios and incorporate different subjects, says Natalie Crist, supervisor of elementary school mathematics in Baltimore County Public Schools. With their 1:1 technology model, students in the district use devices to watch initial videos before diving into lessons. A clip of someone shooting basketballs can trigger wondering before learning about arcs and angles. There are also low-tech assignments using maps and charts. Connecting math to science and social sciences, teachers create a project for students to track bird migration. Another requires them to read maps, look at elevation data, and plan a hiking trip. “It’s beyond just solving problems. It excites them when it connects to real life,” says Crist of the interdisciplinary approach. May created a STEM lab in the school. 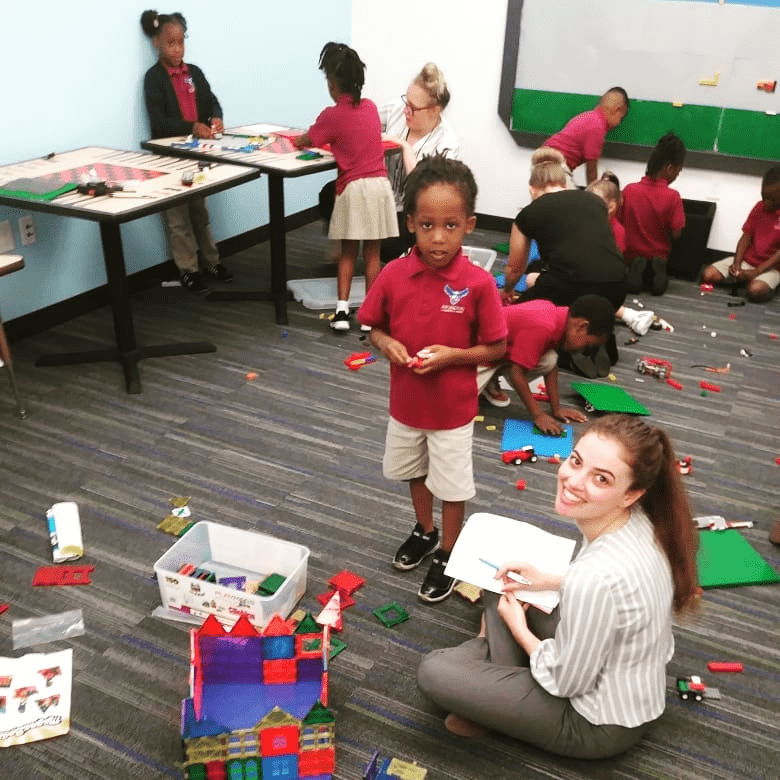 It has a LEGO wall for hands-on projects, including one where students pretend they are architects and rebuild the school. 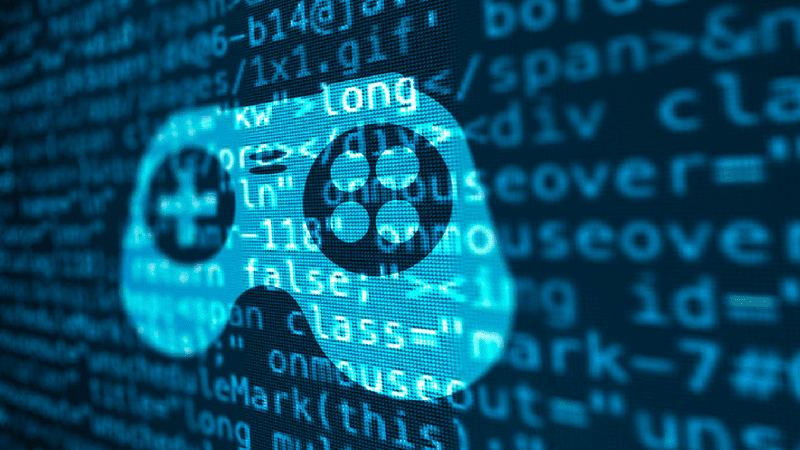 They can learn the basics of coding with games and technology in the computer lab. Students build in the STEM lab at Arlington Community Academy. Hearing how professionals use math skills in their STEAM careers can help kids recognize the value of math. May invited the director of the local Boys & Girls Club, who explained how he makes budget decisions by taking into consideration money, number of students, and possible expenses, like purchasing toys. When Arlington Academy got a grant from Target and KabOOM! for a new playground, kids were invited to draw their dream playground and a parent who is in the construction business was invited to speak about his work. “I tell students we use math all day, every day,” May says. 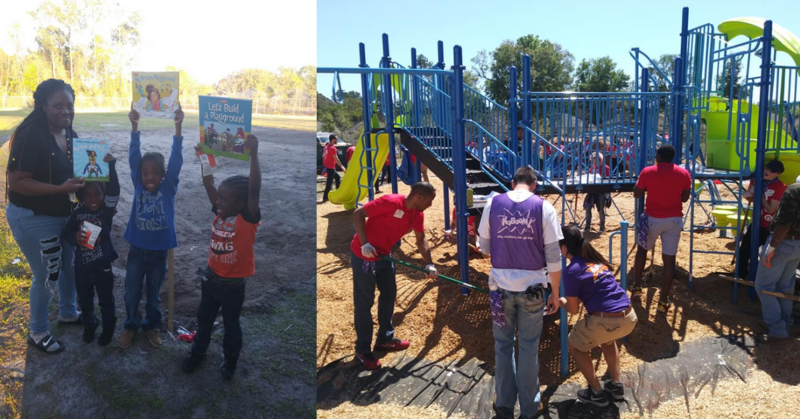 Students at Arlington Academy designed their dream playground and watched 200 community members build it. At Mojave River, after students learn about chemical properties and reactions, they go to the local Creamistry, where they make ice cream with liquid nitrogen in front of customers so students can see those properties in motion, says Webb. Students also use animation software that’s used in Hollywood to create animations and use a 3-D printer to create designs. Full activity days are set aside for “The Cardboard Challenge” and “Hour of Code.” Webb says students work hard at understanding the math and science behind these projects because they are linked to activities they enjoy. Schrock underscores the importance of choice. As kids get older, she suggests giving them a content area and goal and letting them develop a project that interests them. “Then they can see how someone in a STEM field would put into practice something without having everything lined up for them,” says Schrock. Teachers at Mojave River Academy incorporate technology into their lessons. Kids come at math problems in different ways, and good instruction provides time to discuss and rethink approaches, says Bill Barnes, chief academic officer for Howard County Public Schools in Maryland. “There is a greater focus now on executive functioning skills including collaboration and teamwork, as well as vocabulary and writing. “They have become as important as match content itself,” says Barnes, who was the county’s math coordinator and curriculum director before taking his current post. Rather than the teacher always lecturing, students become peer experts who can talk to one another about problems. He advocates space in the classroom to put out ideas, propose alternatives, test, and retest. Sadlier Math helps teachers get their students talking about math—especially the various ways to solve a problem. Its structure makes it easy for teachers to offer guided practice and to encourage their students to do more than find a solution. By thinking about what pathway or method got them to an answer, students justify (and check) their approach.